Are you interested in a career in law enforcement? 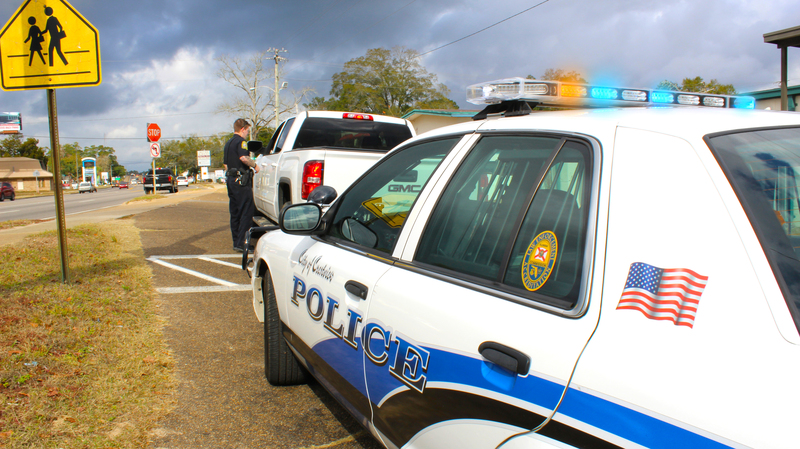 The Crestview Police Department prides itself on a professional atmosphere and dedicated, professional Police Officers. We strive to recruit only the most qualified individuals. The Crestview Police Department is an equal opportunity employer and is staffed by approximately 50 full-time officers and 15 civilian employees, and is augmented by up to 10 part-time officers and 10 auxiliary officers. The Crestview Police Department offers promotional and leadership advancement opportunities and multiple specialized and ancillary assignment opportunities. To view official employment postings, to include non-sworn positions and other City of Crestview employment opportunities, please click here to visit the City of Crestview Human Resources website. The following is provided as information only and is not an official job description or posting. S.W.A.T. Team, K-9 Unit, Special Enforcement Team, Criminal Investigations Division, Community Services Unit, Traffic Enforcement Unit, Hostage Negotiation Team, Clandestine Meth Lab Response Team, Traffic Homicide Investigations Team, Honor Guard, etc. Not have pled guilty or nolo contendere after July 1, 1981, to any felony or of a misdemeanor that involves perjury or a false statement, whether or not adjudication was withheld or sentence suspended. 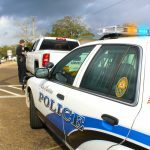 Law Enforcement Academies are held at various locations throughout the state, and locally at Northwest Florida State College in Niceville, Florida and at George Stone Technical Center in Pensacola, Florida. The Florida Law Enforcement Academy consists of approximately 770+ clock hours of formal training in general topics such as Legal, Patrol, Investigations, Traffic Crash Investigations, Traffic Stops, etc. and high liability topics such as Firearms, Defensive Tactics, First Aid, Vehicle Operations, etc. Upon successful completion of the Academy, individuals must complete and pass the State Officer Certification Exam to be eligible for employment as a Law Enforcement Officer in the state of Florida. There are some equivalency provisions for certified out-of-state officers. Links to all necessary applications forms, including the city’s, follow on this page. Submit a general Application for Employment to the Crestview City Hall, 198 N. Wilson St, Crestview, FL 32536. The Application for Employment and Pre-Employment Questionnaire will be reviewed by the Hiring Review Board. If chosen for the next step by the Board, the applicant will be scheduled to complete a Physical Abilities Test (PAT). The Crestview Police Department utilizes a standardized Florida PAT course. The applicant will be interviewed by an Oral Interview Board. The Oral Interview Board will conduct a thorough interview with the applicant to determine his or her compatibility with the Crestview Police Department’s standards, and to determine the applicant’s personality traits, honesty, and integrity. The applicant will participate in a basic knowledge/skills and personality test. At this stage, applicants who are best suited for the positions currently available will be formally selected and presented with a conditional offer of employment. Once a conditional offer of employment is accepted by the applicant, a thorough background investigation will be conducted. The Background Investigator will review, at a minimum, criminal and arrest history, driving record, employment history, military records, personal references, and conduct a neighborhood check. The applicant will submit to a Voice Stress Analysis (VSA), which is a truth detection examination. Applicants are provided an opportunity to answer written questions honestly, and will then be examined by a Certified Examiner. The applicant will submit to a Physical Examination by a Physician and a Drug Screen. The applicant is sworn in as a Police Officer, and is scheduled to enter the 10+ week Field Training Program. Our recruitment officers can advise you which of these forms you must complete and submit during your application process. Should you have any questions regarding the hiring process or career opportunities with the Crestview Police Department, please contact the Crestview Police Department at (850) 682-3544 and ask to speak with the Recruiting Section. The goal of the Public Information Officer (PIO) is to ensure our community is kept informed in a timely manner about current events, programs, and news. The PIO is responsible for preparing official news releases, disseminating timely announcements, information, and advisories to the public, handling media requests, maintaining and improving relationships with media outlets, processing public records requests, and maintaining the official website and social media outlets.